The Guardian Life Insurance Company now owns the Park Avenue Health Insurance Company. This company sells insurance products and offers financial planning services. In business in excess of 150 years, the Guardian Life Insurance Company has helped countless businesses offer benefits to their employees and helped them to structure their futures. See more health insurance quotes by typing in your zip code! Many of the most well known insurance providers have their dental plans underwritten by the Guardian Life Insurance Company. In total, the Guardian Life Insurance Company in the United States operates 16 subsidiaries. The Guardian Life Insurance Company is New York-based. There is also a contact form available on the Guardian Life Insurance Company website. It is assumed that the Guardian Life Insurance Company handles requests during normal business hours, Eastern Standard Time. The Guardian Life Insurance Company offers videos, brochures and other information to all prospective employees detailing the company culture. New employees get access to medical benefits as soon as their probationary periods end, and life insurance is automatically offered to all new hires. Training and support is given to Guardian Life Insurance Company employees on a continual basis. Opportunities for advancement are available to those who continuously perform well and exceed expectations. A comprehensive benefits package is available to new hires as well as existing employees. Although the Guardian Life Insurance Company offers health insurance products, it mainly focuses on financial planning. Dental coverage and disability income are also offered through the Guardian Life Insurance Company’s subsidiaries. Most of the insurance plans offered by the Guardian Life Insurance Company are geared towards employers. Individuals can get estate planning advice and access to other financial services, but they may not be able to purchase insurance through the Guardian Life Insurance Company. Independent insurance agencies can sell Guardian Life Insurance products. After being appointed, independent insurance companies will have to maintain sales quotas in order to continue. Hundreds of insurance agents also work for the Guardian Life Insurance Company in-house. Minimal information as to how independent insurance agents can contract with the Guardian Life Insurance Company was found on their website. Interested parties will need to contact the company directly for more information. Because the Guardian Life Insurance Company owns 16 companies, it does not handle most customer service issues. Policyholders can access their online accounts in order to find the correct channels to contact. No toll free phone number for customer service issues was located. When a policy is sold through an insurance agent, the customer can ask questions and request literature. When problems arise, it is recommended that the customer call their insurance agent before calling the Guardian Life Insurance Company. Both customers and employees seem to believe that the Guardian Life Insurance Company could stand to improve in several areas. Customers complain that is it difficult to get their claims approved. Reviews from companies that have gotten coverage through the Guardian Life Insurance Company believe that they were misled when prices suddenly go up. 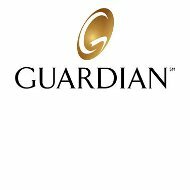 Current and former employees of the Guardian Life Insurance Company believe that the company is being mismanaged. They do not think that the training that they received is adequate. Consequently, only 28 complaints have been made with the Texas Department of Insurance from 2009 to the present. There is no way to get an insurance quote from the Guardian Life Insurance Company on the web. However, consumers can locate the nearest sales office and consult with an insurance agent. The Guardian Life Insurance Company takes a hands-on approach when it comes to selling coverage. Personal quotes are given over the phone or when visiting an insurance sales location. Although customers will want to purchase a policy with the lowest premiums, the Guardian Life Insurance Company looks for plans that are the best match for each client. This may be the reason why some customers feel that they are paying a higher price for coverage than necessary. Find better health insurance rates when you submit your zip code!